At the beginning of 2019 I decided to start a special project called the Monthly Weaving Series. Each month I create a brand new video class covering exclusively for subscription members. 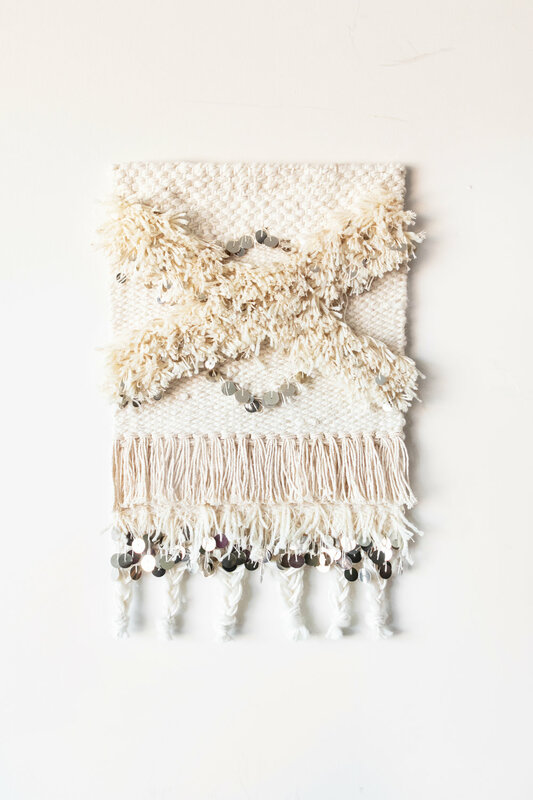 It is a way for me to explore all of the weaving techniques on my list of to-do projects, and share it with YOU so that you can follow along and make something beautiful of your own. I encourage participants to share their progress on Instagram, using #monthlyweavingseries . April’s project is all about combining sequins and fringe. I love adding sequins to a tapestry and have decided to spill all of my secrets about sources and how to add them while you are weaving. 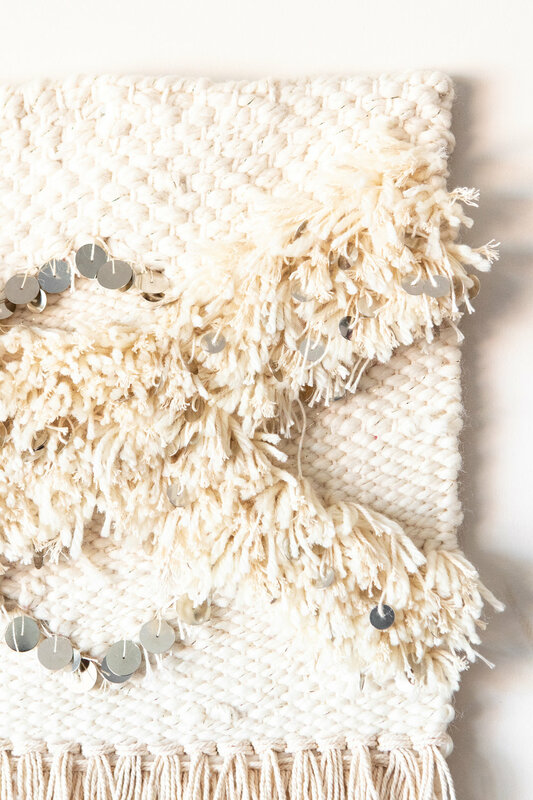 My initial inspiration was from Moroccan wedding blankets, but the combination of fringe and sequins has been something I’ve used in my work for years. 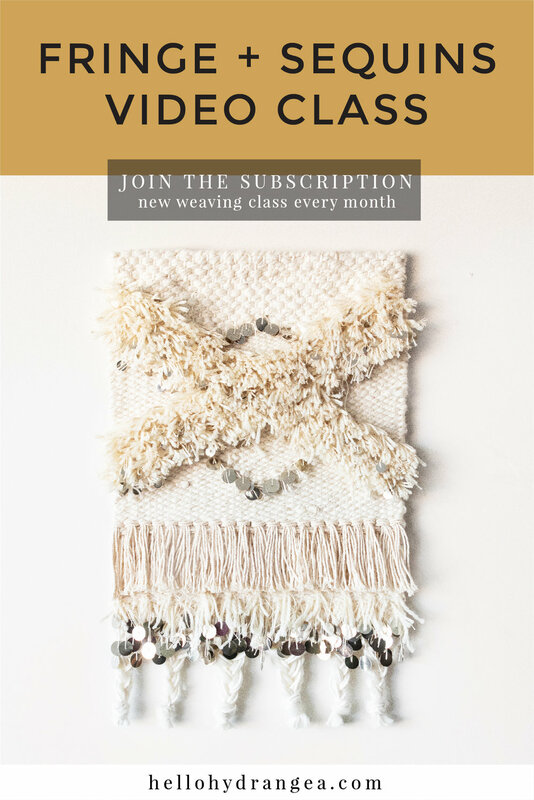 You can click below to learn more about the Monthly Weaving Series and join!